It's finally here. The start of my favorite holiday seasons - Halloween, then Thanksgiving, then Christmas. 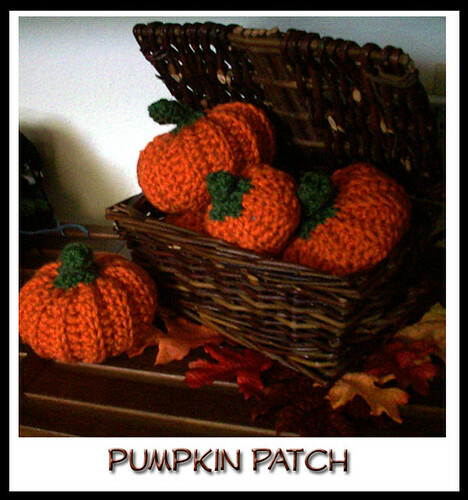 Just a few fun squishy pumpkins, made with recycled yarn no less. 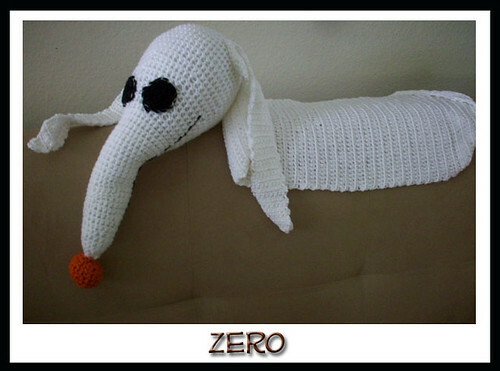 And then Zero from 'The Nightmare Before Christmas.' To make your own Zero, here's the pattern. Hey, Helen! How have you been? Got here from Joe's blog. I was wondering, are you on Ravelry? Nope. Is that just a picture-sharing thing? Or is there more to it? Thanks! My username is hovermoyer if you want to friend me. I admire your ability to knit. I would love to make some of those pumpkins! Guess I need to up my knitting skills. Or were they crochet?